David Chaney | Legacy Planning Partners, LLC. David M. Chaney, ChFC, CLU is the Director of Advanced Planning and Co-Founder of Legacy Planning Partners, LLC. 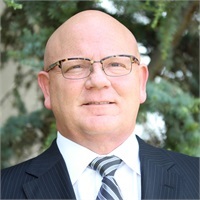 A life-long Oklahoma, he received his Bachelor of Science in Agriculture from Oklahoma State University in 1985, entering the financial advisory industry two years later in 1987. David holds multiple industry designations, including Chartered Financial Consultant (ChFC) which he obtained in 1997. In addition, David has been the recipient of multiple industry awards and accolades in his over 30 year career. David resides with his wife, Gaye Lynn, on their family cattle ranch in Perkins, Oklahoma… together they have two grown children, Madison and Tucker.